Several local Indianola businesses will be hosting open hosue events this evening. Ellis Law Offices in Indianola will be hosting their 6th annual open house this evening. During the open house, Ellis Law Offices will be taking donations of hats and gloves to donate to needy families during the winter months. 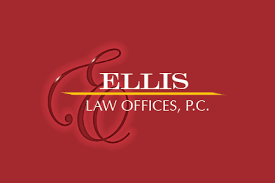 The open house at Ellis Law Offices will take place from 5-8pm. TruBank is also hosting an open house, to celebrate their 25 years of serving Indianola and the surrounding community. The TruBank open house will take place from 4-7pm.